Are you wondering if your wedding ideas will all come together to create that breathtaking image in your mind? Don't worry, We've Got It Covered! Here are 5 ways to guarantee a great wedding look you are sure to love! This can be something unique from your venue like a big window, art on the wall, stonework, or a big fireplace. 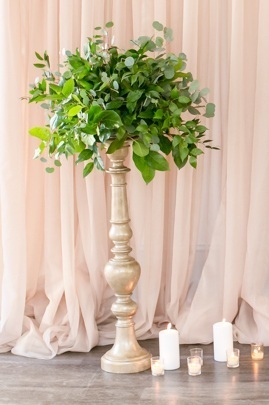 If nothing stands out...Choose your own statement like this taupe backdrop! Use different heights and lengths in your wedding decor to create depth and visual appeal. Another way to add dimension is a contrast color. Nothing too fancy or flamboyant (unless that's totally your cup of tea! ), but something simple, like these greenery arrangements. 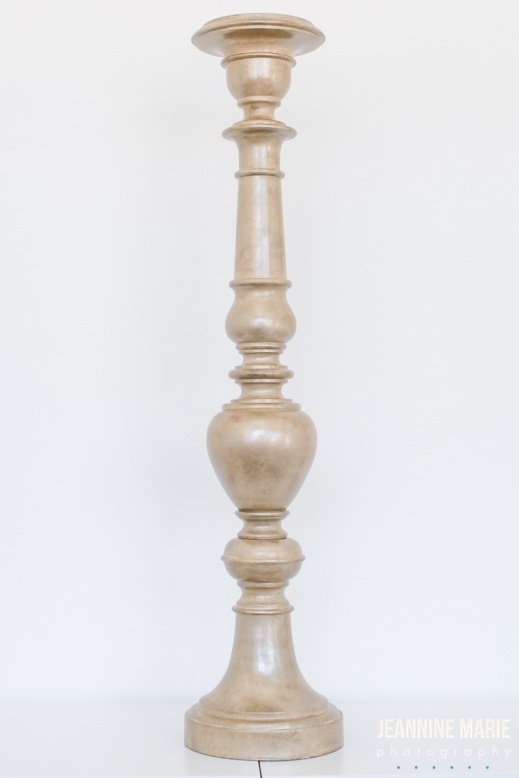 It keeps your room looking lively and lifted rather than flat and dull. 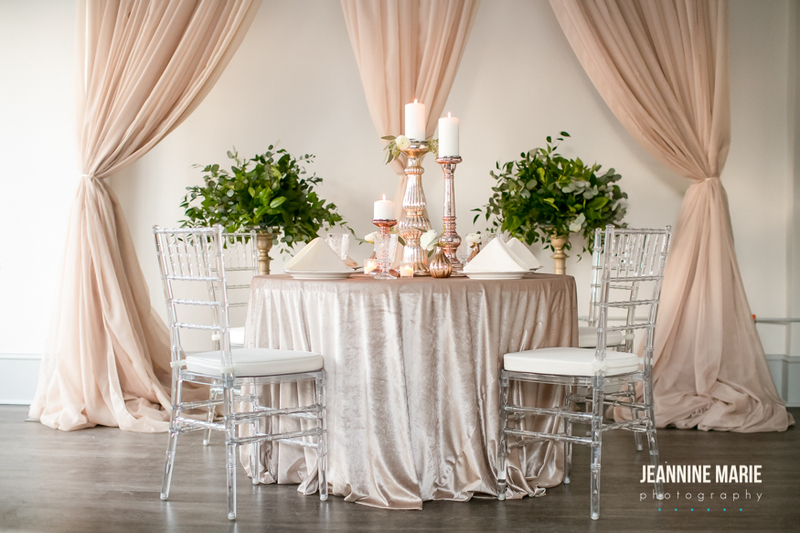 To create the finished look a textured velvet linen was added with a Chiavari chair for the perfect sweetheart table! This is where you can be the most c r e a t i v e ! Put together an array of different items in your same color scheme, incorporate your contrast color, include your table number and maybe a few pictures and viola! You have a great centerpiece! Another great tip to make sure that your ideas come out flawless is to make your own mock table. Set it up and put together your centerpiece trying different things until you come to find something you absolutely love.